Israel has failed to secure deals with Rwanda and Uganda over the relocation of thousands of African migrants in the Middle East country. After an initial agreement with Rwanda fell through, Israel struck a deal with the United Nations Refugee Agency (UNHCR) to relocate thousands of African refugees to Western countries and allow the remaining migrants to stay in Israel. However, Prime Minister Benjamin Netanyahu backed out of the deal the same day after a backlash from his right-wing voter base – and Uganda says no deal is being discussed. 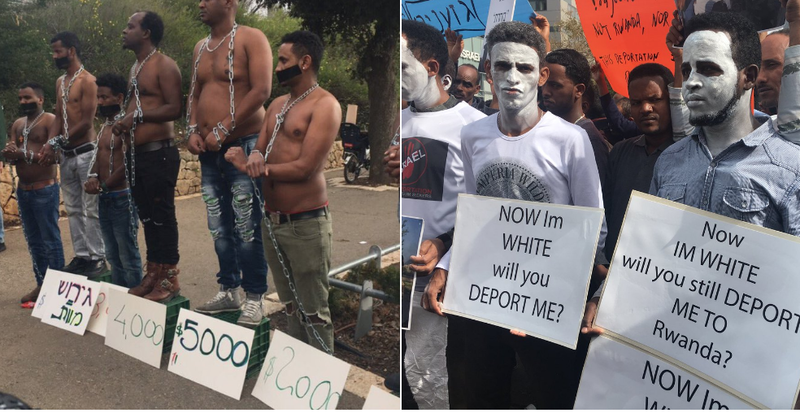 Roughly 4,000 African migrants have left Israel for Rwanda and Uganda since 2013 under a voluntary programme but PM Benjamin Netanyahu in November announced that all remaining migrants would have to leave or be imprisoned indefinitely. In January, the government started handing out notices to make migrants from Eritrea and Sudan, giving them three months to leave voluntarily or be thrown in jail. However, Israel is struggling to secure a deal to relocate its African migrants. The government said it would start forced deportations in April but the Supreme Court issued a temporary injunction after rights groups challenged the move. Now Uganda denies any talks are in place to over a deal to relocate African migrants in Israel. “We are not aware of any Israeli envoy here. Let Israelis tell you who that envoy here is going to sign an agreement with, sign with who? With the foreign affairs, with the president, minister of internal affairs, with who? On what date are they signing?” Okello Oryem, Uganda’s junior foreign affairs minister told Reuters.